I think this is by far the most important trait to making it in Belize. There will be lots of small things, and from time to time a few big ones, that occur that can frustrate you, if you let it. The stores (and I mean ALL of them) being out of your favorite creamer, the place you went to town to see someone is closed for any variety of reasons, and on and on. I have a saying “TIB”, short for “This is Belize” that I learned from a friend, that I say to myself and laugh when things like this occur. If things have to always happen on a specific timetable, or if you will continually let small things frustrate you, Belize probably isn’t for you. Belize is a place where it is good to be very balanced between being independent and being social. Too independent and you can become isolated and lonely. Too social and you’ll always need to be around people and be lonely when you aren’t. The people here who are the happiest to me have a balanced approach when it comes to social interactions. Well you could argue it is a subset of adaptability, but I’d like to talk about it separately for a minute. Being patient and pleasant will by far get you places being an “Ugly American” or “Gringo” won’t in Belize. I can tell you with little equivocation that berating a Belizean doesn’t work. If you don’t have the ability to stay calm and rational when you need to discuss an “issue” with a Belizean, you’ll be immensely frustrated here. Being respectful and discussing the matter in a calm tone will usually win the day. I’ve been in many situations in Belize where just staying patient and respectful has gotten me a long way, regardless if we are talking about a Government official or a store clerk. Even if you live in an ex-pat community, if you have little cultural sensitivity, Belize probably isn’t for you. While Belize is largely English speaking, many of the native peoples speak it as a second language, at best. Some don’t speak it at all. Being able to respect this and stay patient (see above) and work through situations where communication is an issue is important. Even speaking a little Spanish and knowing a few Belizean terms is helpful. Above all, showing respect. I try to always remember, I’m the Gringo here, and it’s my job to meet people more than half way. You’ll have lots of opportunities to get involved in things, do charitable work, participate in activities and help people, if you choose to do so. But, you’ll find that the more helpful you are, the more you’ll get asked any number of things. To donate to a good cause, to work on a project, etc. Most of them are good causes. Occasionally, you’ll have someone ask you for help or want to do more socializing than you are comfortable with. You’ll have to determine your limits and stick to them. It isn’t always easy, but you’ll find out if you don’t… and I’m speaking from personal experience here…..
You will find yourself having a lot of time on your hands in Belize. We stay busy walking two dogs twice a day, and we read. I play poker several times a month. My wife sews and loves gardening. We cook, shop, do our own yard and house cleaning. I have Real Estate, which has helped me more than anything, stay busy. I’m involved in Neighborhood Watch. Some people are avid walkers, bikers, sail boaters, tinkers, etc. People cook and entertain. Finding meaningful uses of your time, well it is very important. 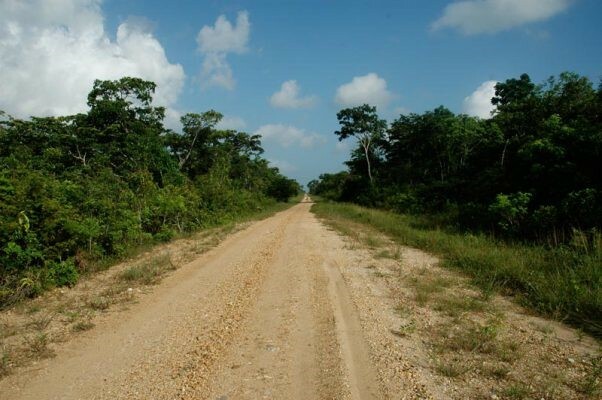 TRAIT 7- DON’T EXPECT BELIZE TO BE LIKE USA OR CANADA – PATIENCE FOR “PROGRESS”. Belize is a quirky country. It isn’t perfect. It moves to its own beat, at its own speed. Ever fall in love and learn later the person had traits you just couldn’t live with? That happens here, people get caught up in the romance of moving to a tropical destination, without considering if the other “traits” are for them or they can live with certain shortcomings. Take it slow if you need to, do your research, check it out. You wouldn’t think it a good idea to get married after one date. Approach living in a new country the same way. Medical care. 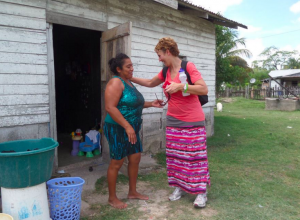 While basic care in Belize is pretty good, if you have serious health conditions, you really need to think about it, and what you can, and cannot, be without for your situation. The heat. An 80 degree day in some places is a “hot day”. Not here. 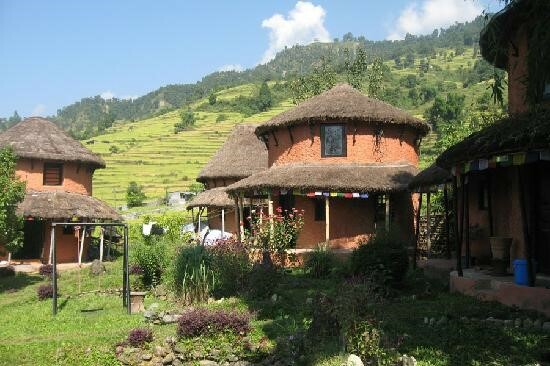 Some people at first think living in a remote location is charming, romantic, adventuresome. It can be. But, over time, the distances to town, lack of human interaction, roads, etc., can get to some people. If you are looking at a remote location, really think about it. The washout rate tends to be higher in more remote locations. Vices. If you are prone to vices, Belize may put certain ones into overdrive. If you have an unbalanced lifestyle before coming to Belize, such as a problem with alcohol, don’t expect it to get better in a country where alcohol is cheap and available. Apply this example to other vices as needed. The reasons people leave Belize generally fall into one of a couple of categories, or some combination of the below reasons. Change in Health Circumstances - Unfortunately, we all get older, and our medical situation can change. 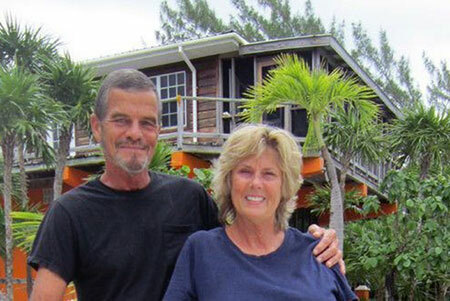 Advanced care for any number of illnesses can and has caused people to have to make a life change and leave Belize. Cancer, diabetes, circulatory issues, and other ailments have caused people to re-think their life plan. Change in Family Circumstances - Parents getting old, grandchildren arriving, death of a prominent family member causing someone to take over the family business, can cause people to rethink their life plan. Sometimes these are difficult decisions. Divorce - Yes, believe it or not, people do get divorced in Belize. This can, and has, caused one or both partners in a relationship to leave. Death - You won't live forever. Not even in paradise. Well not at least in this earthly one. And, being a somewhat older community of ex-pats, death has caused the departure, sometimes expected, sometimes not, of a number of our residents over the years. With this in mind, we strongly urge people to have the right mechanisms in place to deal with the eventuality of death. These would includes a properly registered will in Belize, documents such at titles and Land Certificates in a safe and secure place where SOMEBODY know where they are, etc. Unfortunately, this has not always been the case among our residents. Dying without a will or additional names on titles, Land Certificates, etc., can get ugly and expensive. Sorry for the sidebar, but it's an important topic. They just didn't like Belize - Yes, it happens. Newsflash, not everybody gets Belize. If they did, there'd be a lot more expats following the crowd. People who fall into this category tend to "get there" in 1-2 years after arrival. The reasons for why they didn't like Belize? See the above. 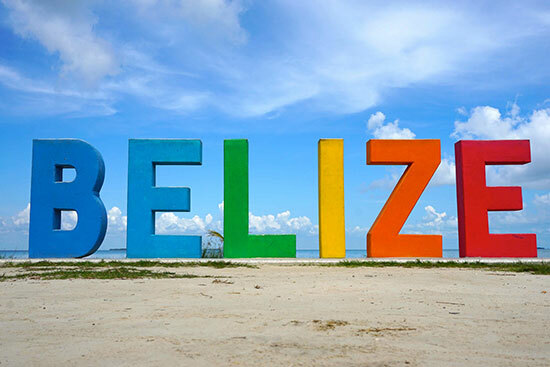 However, of note, a study by Bestplacesintheworldtoretire.com shows that overwhelmingly, people who move to Belize are happy with their choice, and rate the country very highly on a number of attributes. It's a good website, that answers many expat questions. It is a great resource that Karen and I have both contributed to. Bottom Line - Most of these people (except for part of the last category, "the didn't likes") I think would agree that their time in Belize was a positive in their life, and have little to no regrets for having had the ability to spend some number of years on an adventure. Even after going a different direction in life later on, the years in Belize will always be counted among my best. Regrets? I certainly have none. Again, these are only my opinion, based on my 16 years of experience coming to, visiting, buying property, building, and having lived in Belize full time for over 6+ years. I’m not trying to scare anybody away. But I want everyone to make an informed decision, and think “full disclosure” is the best policy. Obviously, Belize does work for people. Call us crazy, but many of us who moved here were very happy with the life choice we made. It worked for us.